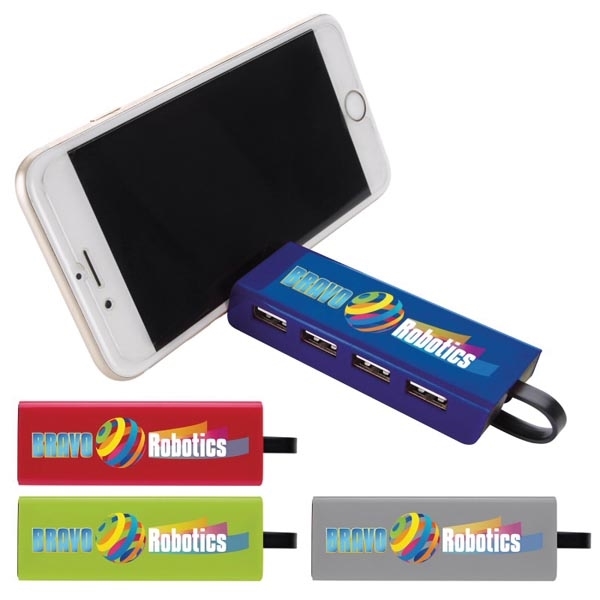 This 4-port round USB hub connects to multiple power sources at once! 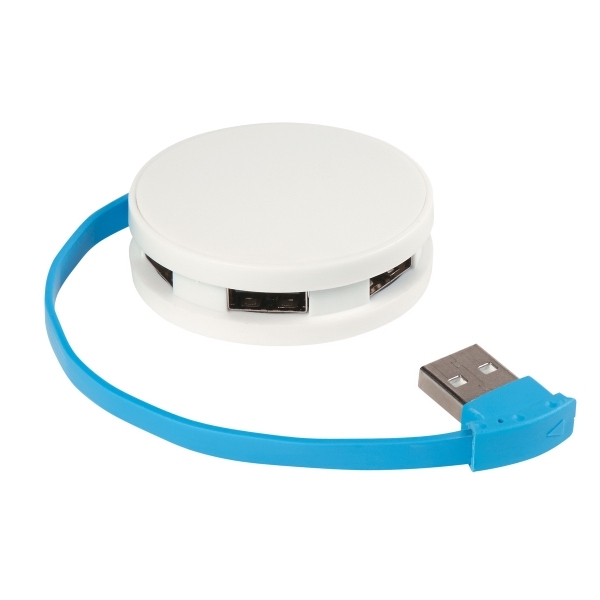 Measuring 2" round, this 2.0 interface hub features four high speed USB ports. 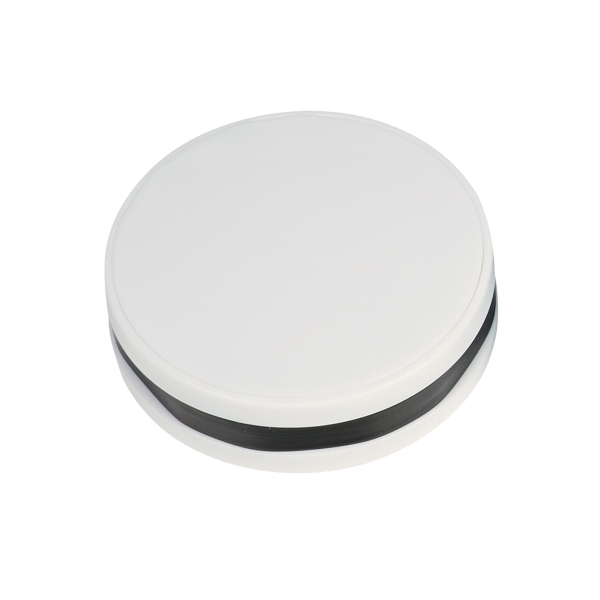 It comes in white with several different trim colors. 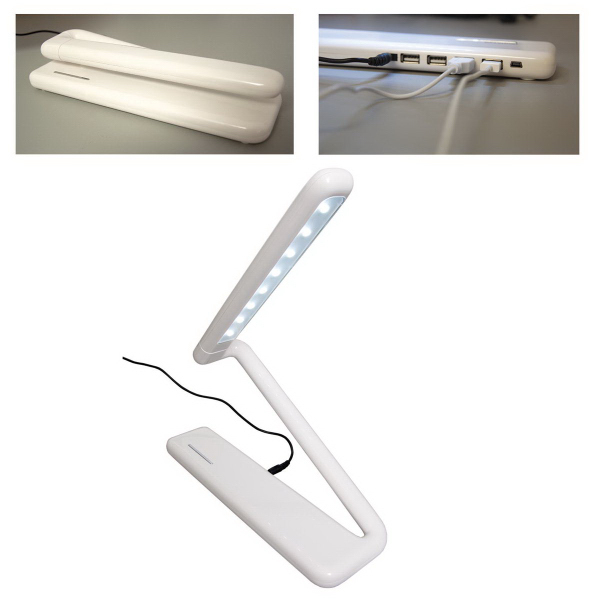 The cord wraps neatly around the port when not in use. 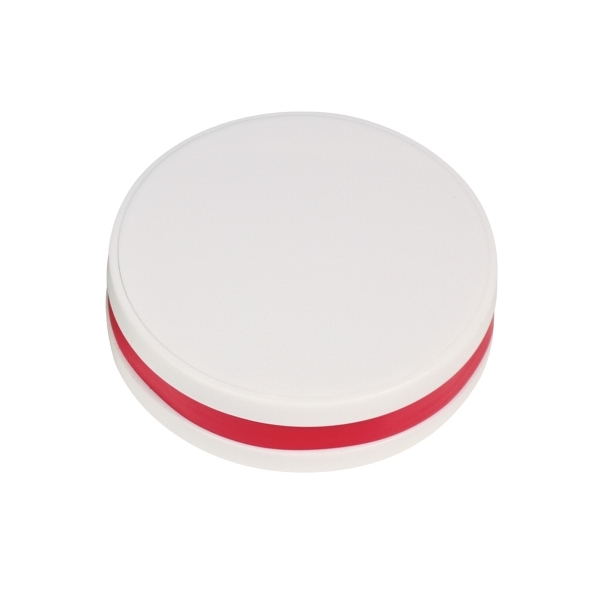 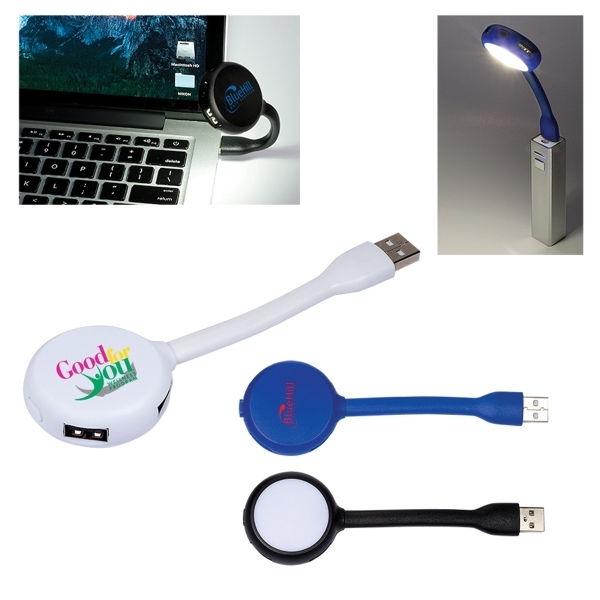 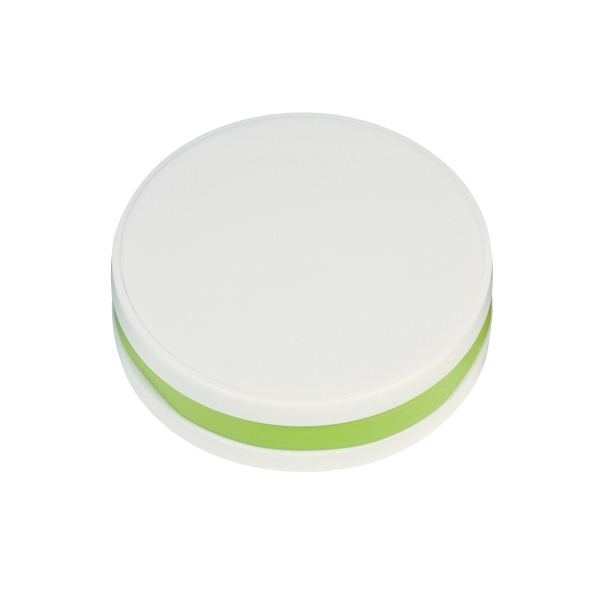 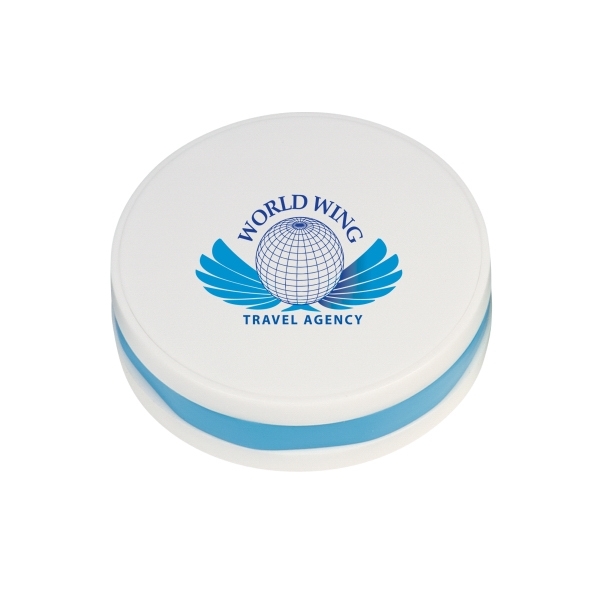 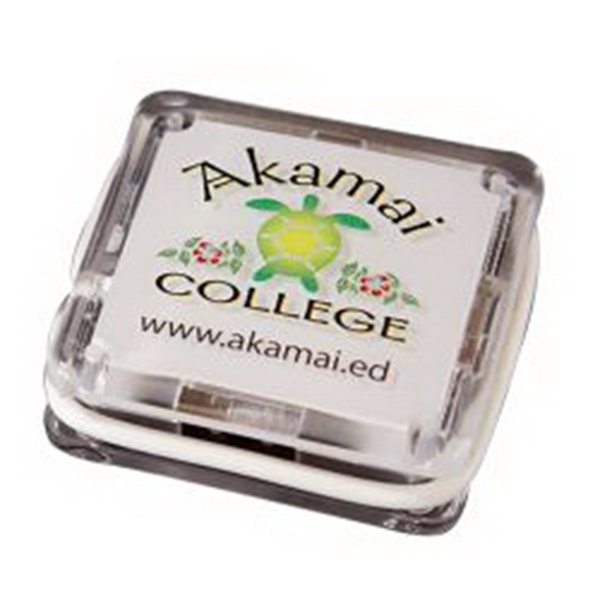 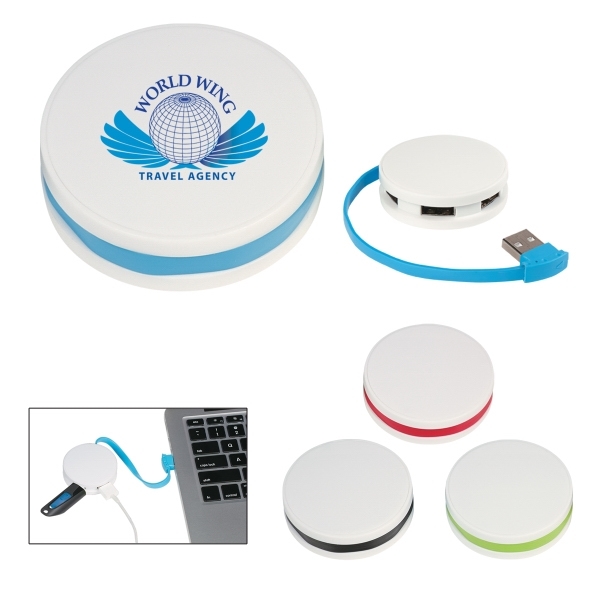 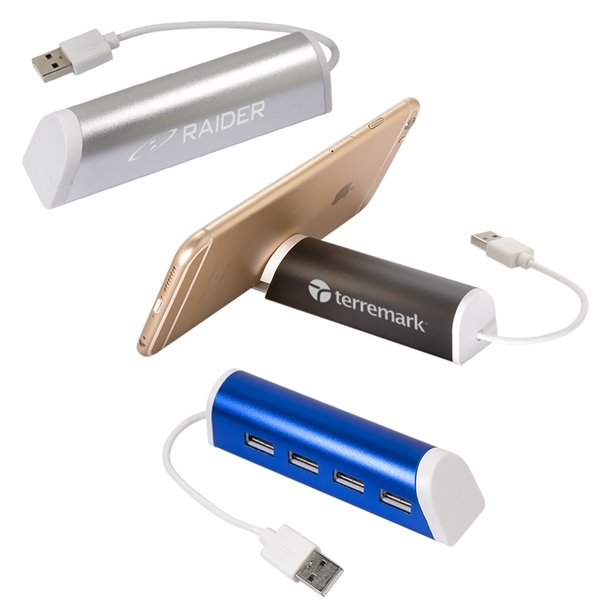 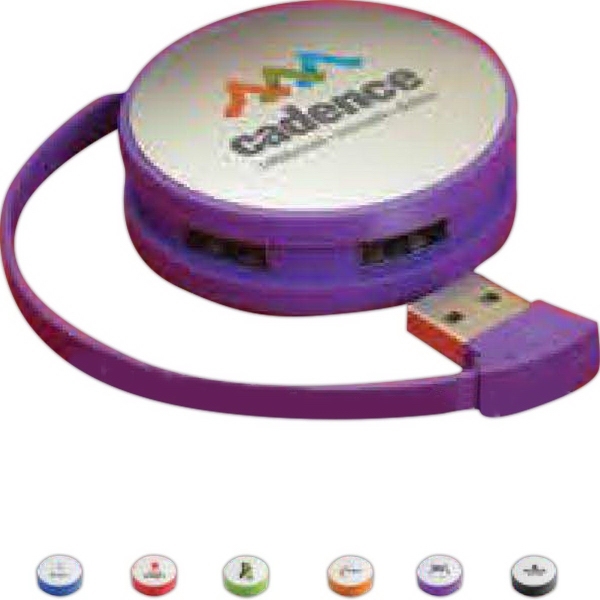 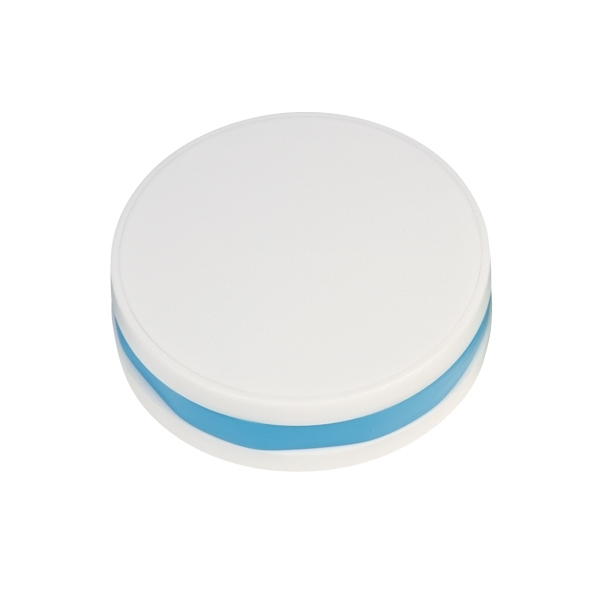 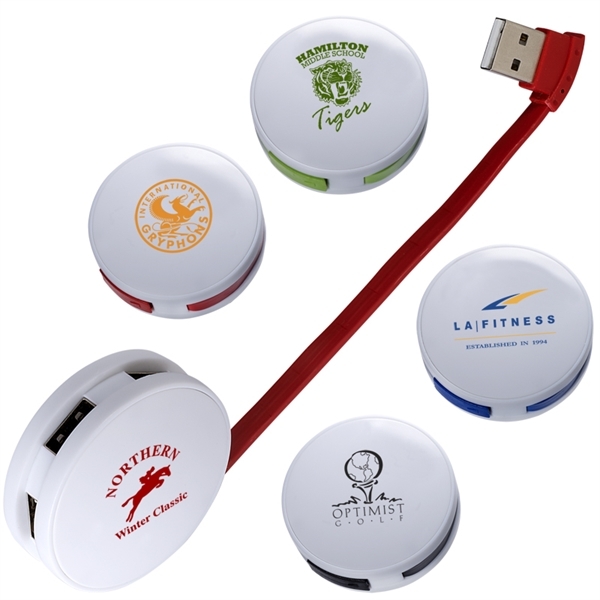 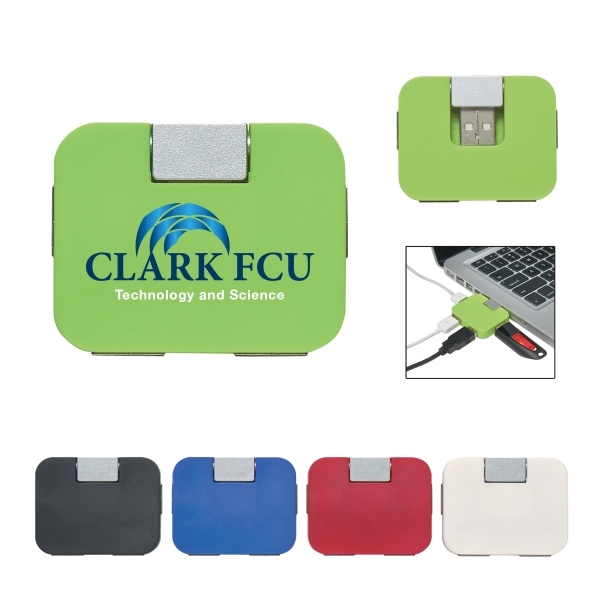 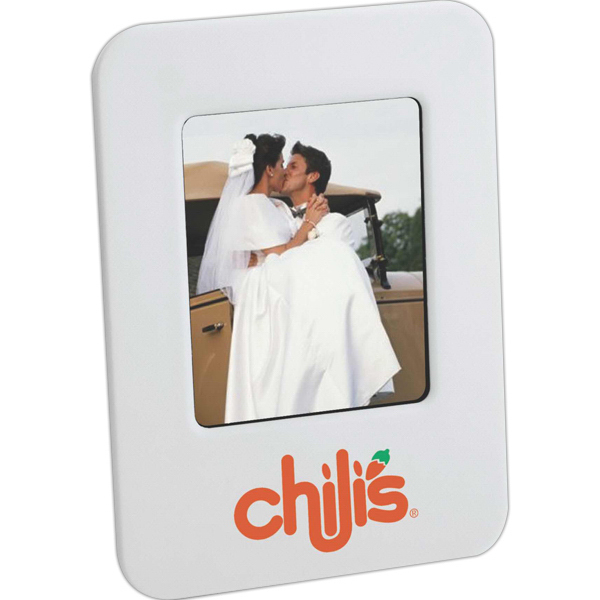 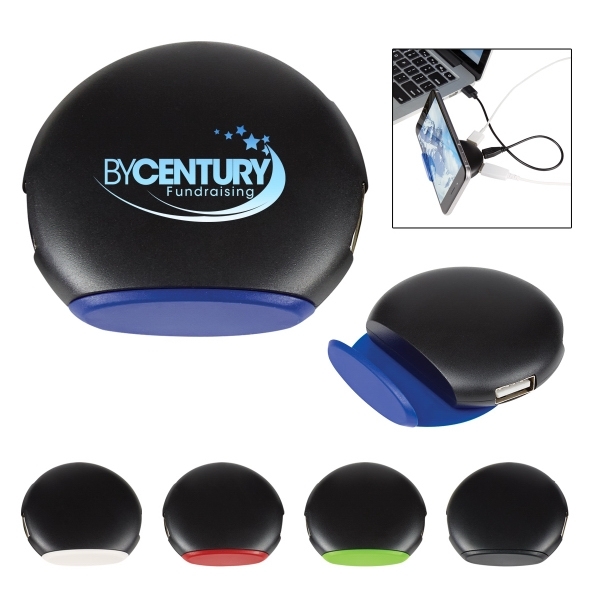 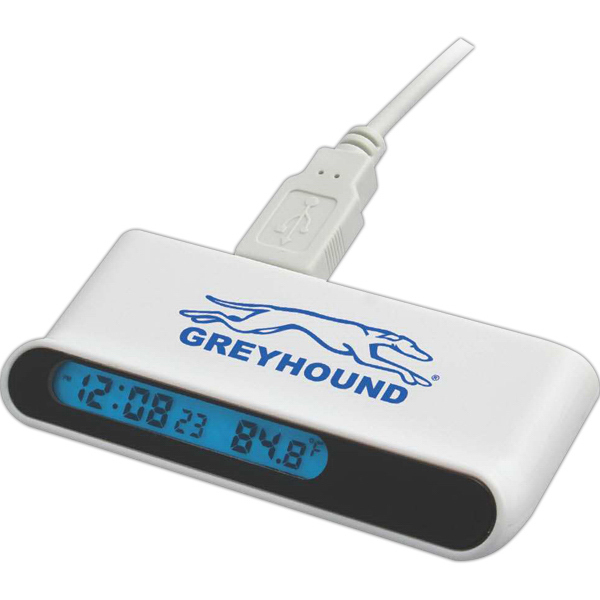 Perfect for trade shows, technology-related events and conventions, experience the promotional power of this USB hub by customizing it with an imprint of your company logo or design!